They're the best of the best of 2015. They're what changed how we work and how we play. They're what compelled us to replace the devices on our wrist, in our pocket, on our laps or desks, and in our living rooms; they're what dictates the look of our home screens and our docks. They're the devices and features, gear and accessories, and apps and games that filled us with surprise and delight, got us to forget what came before, and made it impossible for us to imagine how we ever lived without them. They're our 2015 iMore Award winners! Yin: The iPad Pro is the closet Apple's (yet) come to making an iOS device that rivals the MacBook in terms of power and productivity, and arguably surpasses it in creativity. With a formidable A9X chipset, a Smart Connector for even better hardware keyboard integration, and the Apple Pencil, the iPad Pro flies. It won't replace a laptop for everyone, but for some, it might just obsolete the need for a traditional computer. Yang: The MacBook is the closest Apple's (yet) come to making a Mac that rivals the iPad in terms of lightness and portability, while still maintaining its edge in productivity. With a a stunning Retina display, a new butterfly keyboard mechanism, and a revolutionary Force Touch trackpad, it's a glimpse at Apple's laptop future... one that happens to be available today. Part of the iPad's initial success was full-screen apps: They kept everything simple and accessible... at least, in the beginning. As time went on, however, and users wanted to power up their productivity, full-screen apps became a constraint. That constraint is (partially) lifted in iOS 9: Apple introduced Picture-in-Picture video, the Slide Over window, and Split View apps. With them, you can watch video while you work, briefly consult a message or reference from one app while in another program, and even work on two different projects, side-by-side, at the same time. It's a massive convenience and productivity boost and, hopefully, it's just the beginning. Photos for OS X is the new image management paradigm for the Mac. It replaced both of the Mac's legacy photo management apps, iPhoto and Aperture. It also made pictures and videos integral to the operating system and provided consistency and compatibility with Photos on iOS via iCloud Photo Library. Photos for OS X didn't (and couldn't) ship with every must-have function from its predecessors, but it was far more feature-complete than past Apple reboots thanks to a lengthy beta process. It's become even more so with the OS X El Capitan update, and we can't wait to see how it evolves. Ten years ago if you'd said that Apple would become the most exciting silicon design company in the industry, you'd have been laughed off the internet. Then came Apple's A-series ARM chips. The Apple A4 in the original iPad, the 64-bit Apple A7 in the iPhone 5s, the timing controller in the iMac with Retina 5K display, the storage controller in the iPad Pro, and a dizzying array of accomplishments in-between. Now, thanks to Johny Srouhi and team, no one has time to laugh. We're all too busy waiting to see what comes next. Broadcasting live from mobile isn't new: People broadcasted live from Qik years ago, and more recently using Meerkat. But Periscope took a step where those apps faltered, bringing live-streaming into the mainstream. It combined the popularity and multimedia power of the iPhone with the social network and real-time reach of Twitter, letting anyone and everyone have their voice heard, any time, and almost anywhere. 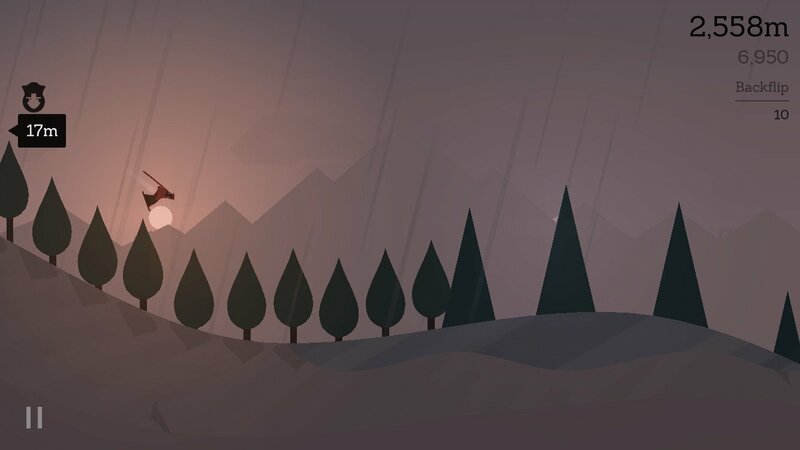 Alto's Adventure breathes new life into the endless runner: It combines snowboarding, llamas (yes, llamas), gorgeous graphics, terrific tricks, and a sumptuous soundtrack to deliver just exactly what you want from the iPhone: smooth, delightful gaming nirvana. Nothing cost us more sleep this year, and that's the highest recommendation we can give. Tweetbot 4 shipped with several marquee features, including a new activity view and universal support for the iPad. It quickly added 3D Touch support as well, and it did it in style: You can press on a profile picture to peek at a profile, a tweet or image or quote or—you get the idea—to preview it. From there, you can swipe up to get quick action options. What's more, when you get a direct message, it shows up as a dynamic home screen shortcut. It's the kind of effortless 3D Touch navigation we hope all iPhone apps incorporate in the future. 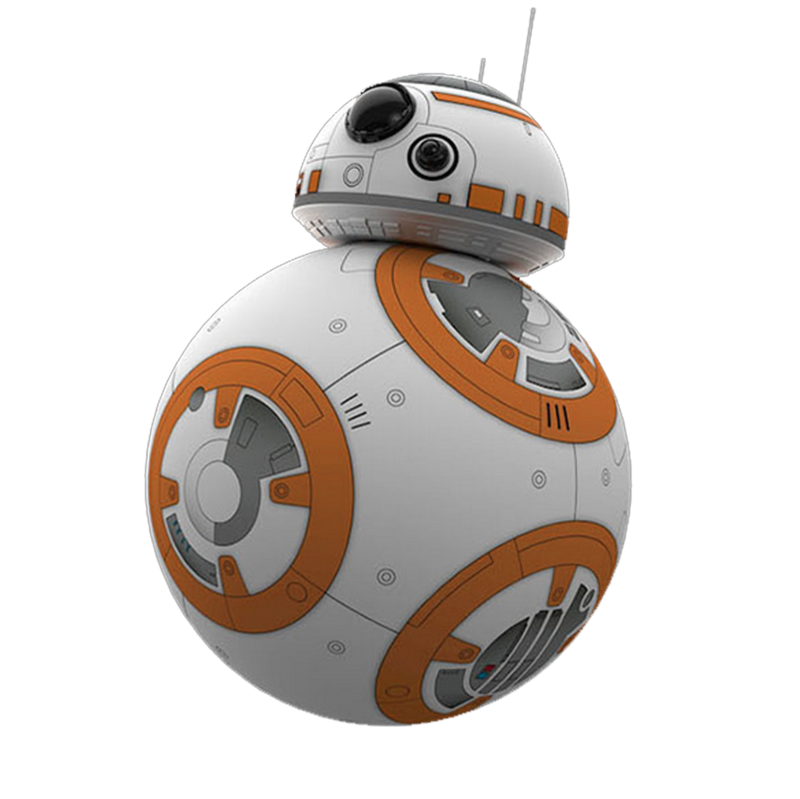 When the first Star Wars: The Force Awakens trailer hit, many of us assumed the new droid, BB-8, was completely CGI. But it wasn't: It had a practical puppetry component, and one made in part by longtime iPhone accessory-maker, Sphero. The company combined its gyroscope robot with rotating magnets to make BB-8 feel real—and then, they made it into a real toy anyone with an iPhone could own. 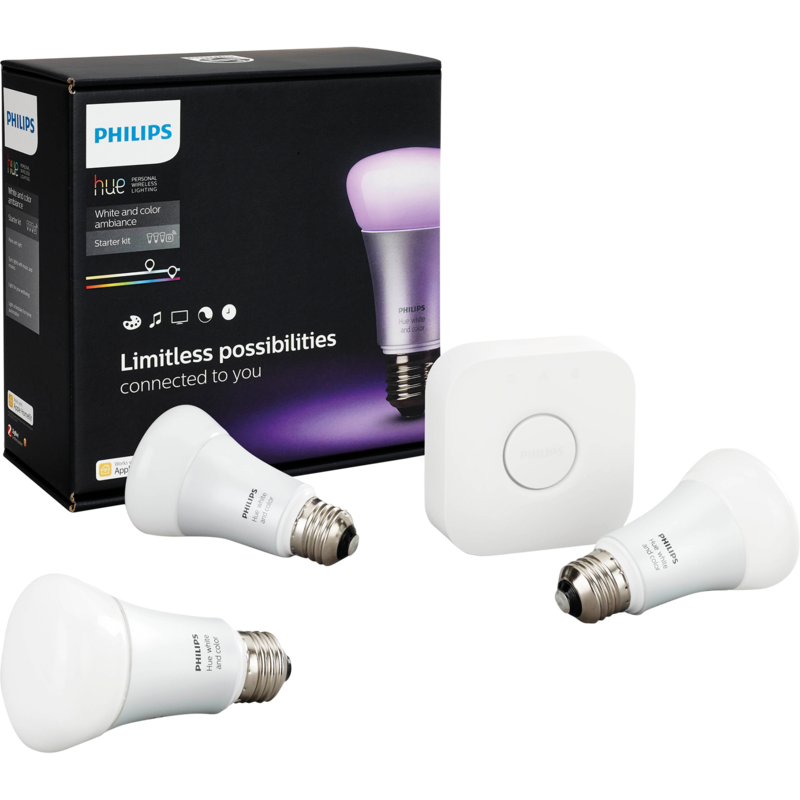 Philips Hue's connected lightbulbs may not be new, but their support for Apple's HomeKit home-automation platform sure is. With HomeKit support, you still get the same great control over the LED bulb's color and intensity, but Hue can now integrate with Apple's room and zone support, timed triggers, adn more. Best of all, it can be told exactly what to do when you use Siri and your voice. Umake lets you create things in 3D, like cars, planes, and even space ships—all in a way that's immediate and tactile. It's akin to spinning digital clay, or finger-painting with industrial design. Umake is kind of app that helps showcase a new platform, and it's absolutely as cool as it sounds. A mysterious train ride, riddle-soaked letters, a challenge, and a deftly intricate castle—The Room 3 picks up where its predecessor left off with even more dastardly brain-breaking puzzles. The puzzles, rendered in glorious 3D graphics, are this title's selling point to be sure. But don't discount the Room's eerie ambience and strange storyteling—be careful meandering those halls, or the Room may wrap you up for hours. That Panic brought its impeccably designed, fully-integrated web development environment to the iPad should come as no surprise: It's Panic. That the company also optimized it to work with Split View multitasking should likewise come as no surprise. That Panic took it once step further and made it so that updating text in the Coda editor simultaneously updates the left-side preview in Safari—okay, surprise. But an awesome one, because Panic. The Apple Pencil is a revelation: After decades of digitizers with their intermediation and air gaps, the Pencil lets you draw closer on a digital screen than ever before. There's an incredible amount of technology involved in making it work—doubled refresh rate scanning, pressure sensitivity, and sensors on both sides. But when you use the pen, all that disappears. All you're left with is a drawing experience that feels more like pigment on paper than anything that's come before. The iPad Pro launched with a new Smart Connector that carriers both power and data, enabling a new generation of hardware keyboards. Enter Logitech's Create keyboard: Thanks to full-size rows of backlit keys and a wonderful row of function commands, it makes the iPad Pro feel even more like a MacBook. Even a slightly clunky outer case and 1-pound weight addition can't diminish the greatness of using the keyboard. CARROT's vengeful weather AI is curt, sarcastic, and borderline obnoxious in any app on any platform, but nowhere is it more convenient than on the Apple Watch. It packs more weather information per millimeter of clock face than just about anything in the App Store, and it does so with style. Where else would you see the phrase "It's frakking sunny"? When Apple enters new product categories, the company has a habit of kicking incumbents square in their complacency. So it is with the Apple Watch Link Bracelet: The band requires no jeweler and no tools to swap out or resize, only the push of a button to see all the incredible insight, innovation, and engineering that went into crafting it. 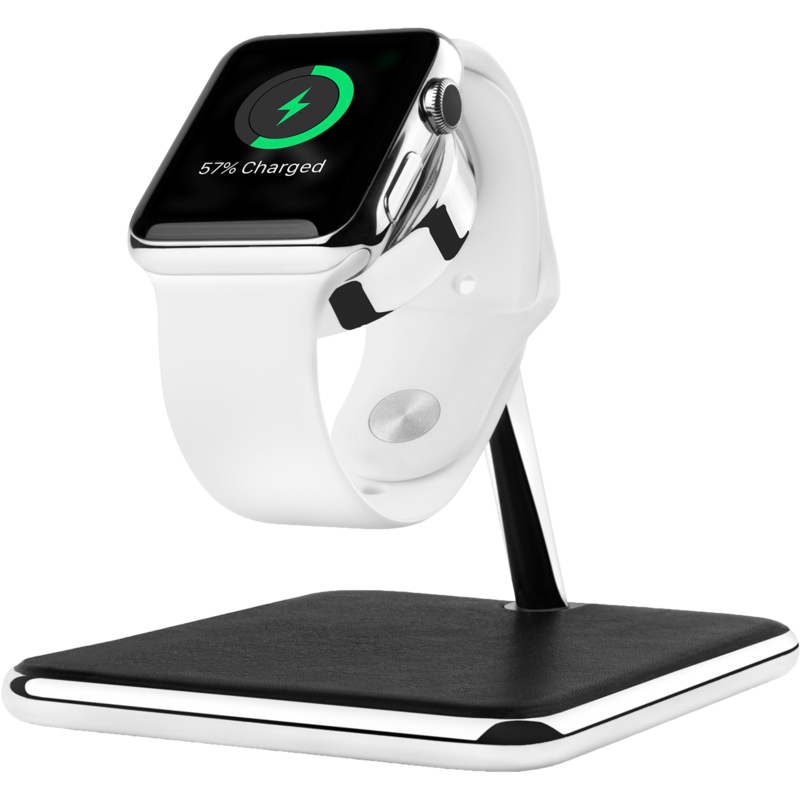 Forté for Apple Watch combines stainless steel and leather to create a stable and elevated experience for your newest Apple device. The stand supports open and closed bands of just about every variety, and shows the clock face in both portrait and Nightmode. In other words, it exemplifies what Twelve South does so well—making the practical both simple and beautiful. It took just moments after Apple announced apps for the TV before numerous voices rose as one, the only word all their lips—Plex. A media center mainstay, it arrived shortly after launch and finally let anyone and everyone with external storage get their content onto the Apple TV, with features Apple's own apps still haven't fully restored. Crossy Road was demonstrated at the new Apple TV unveiling, and with good reason: Not only did it translate delightfully well to the big screen, it implemented iOS device control for full-on multi-player endless-hopping action. It's not just fun, it's fun for the whole family room. The SteelSeries Nimbus may be the first MFi controller to support the new Apple TV, but it's also an incredibly good MFi controller. With its buttons, thumbsticks, triggers, and amazing build quality, it takes Apple TV gaming to the next level. And let's not forget: Lightning charging. Goodbye, batteries! Audio Hijack 3 by Rogue Amoeba combines the same incredible, unfettered access to sound on the Mac with a new interface that makes handling it all easier and more intuitive than ever. With this update, Audio Hijack has risen from Mac classic to Mac software superstar. Set in the epic world of Lord of the Rings and replete with all the mythology and back story that comes with it, Shadow of Mordor lets you roam Middle Earth as a Gondorian Ranger of the Black Gate, bound to the spirit of a Wraith... and lay waste to all of Orcdom before you. Apple's Magic Trackpad 2 made the company's new Force Touch technology available to every modern Mac. Turn it off, and you get a dead piece of aluminum. 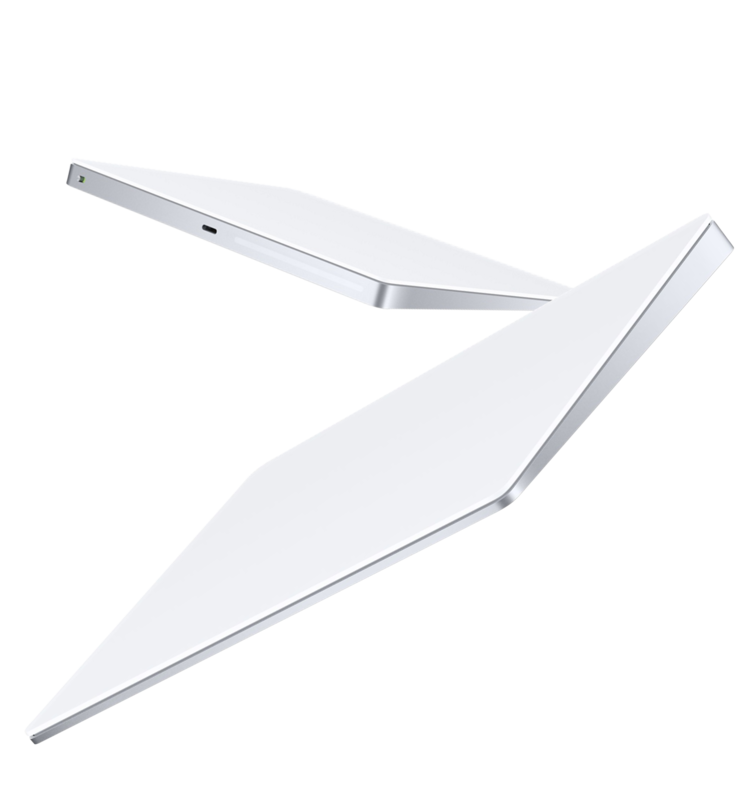 Turn it on, and the trackpad comes alive with pressure sensitivity for previewing, zooming, scrubbing, and more. It's so good that you think your fingers—or physics—must be lying.